Bernardino Cataneo was writing a master at the University of Siena around 1544-1560. 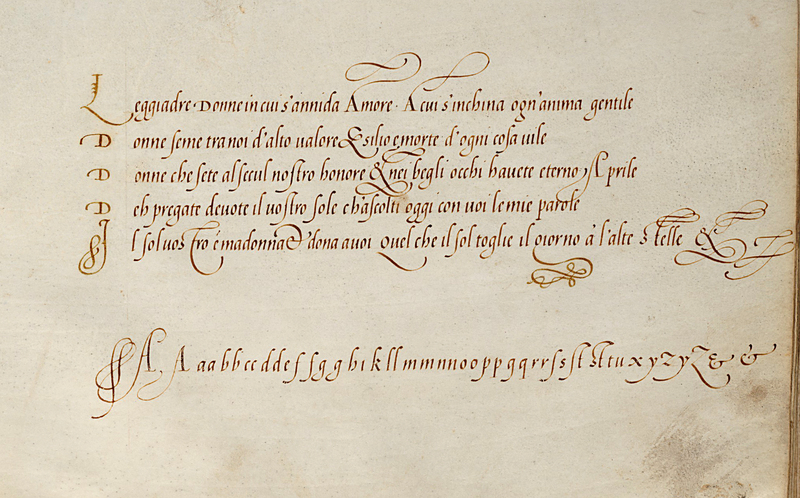 The only known surviving exemplars of his writing are the pages in this copybook, dated 4 February 1545. What is so interesting about Cataneo’s writing sample is that it is an original. Most writing books and models from the renaissance are copies, prints from either metal plates or woodblocks. The result of these prints is always an interpretation (not actual writing). In the original of Cataneo, we can see the subtleties and sharpness of the stroke-shapes. It is also possible to recognize some elements of the ductus, for example: the top stroke of f is written from left to right first and then returning from right to left, leaving a shape of darker ink. 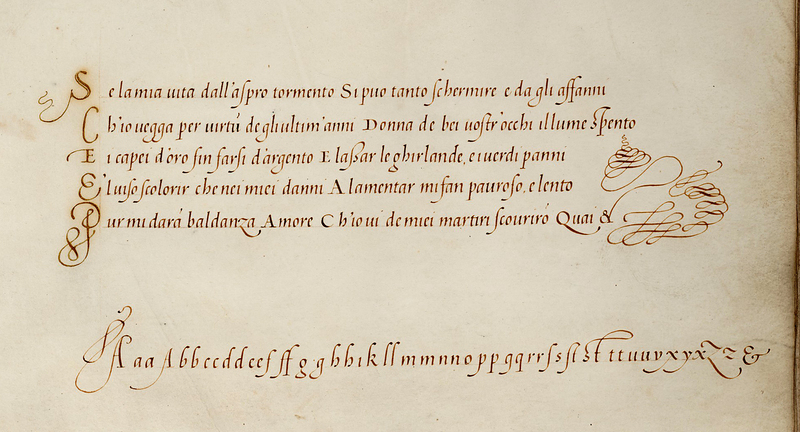 Cataneo’s writing is a great example to practice chancery script. You can click on the images below for the high resolution models. by Stephen Harvard, Taplinger, New York, 1981.